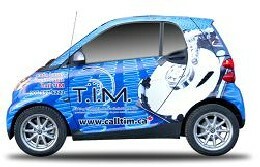 If you are in need of hard drive data recovery in the Toronto area contact, T.I.M. Data Recovery today for a free consultation about our data recovery services. T.I.M. Data Recovery of Toronto offers reasonably-priced hard drive data recovery in Toronto. Your lost hard drive data can be recovered by our professional team of seasoned data recovery veterans, using state-of-the-art equipment. We work with all operating systems, such as Windows, Mac, and Linux, among others, and we have the experience and tools necessary to recover from any hard drive failure. We can help if there is data corruption, virus damage, or any other problem. T.I.M. Data Recovery of Toronto is composed of data recovery veterans. We divide hard drive data loss into two categories: Mechanical: the hard drive in no longer functioning in a manner that it should. This can be caused by any number of issues, but typically would be a motor failure or a head crash; and Logical: the hard drive is having functionality issues due to “logical” reasons, such as an accidental reformatting or a corrupt file path. We can help resolve your data loss issue with our procedures and equipment for hard drive data recovery. Toronto residents, and many other across Canada and North America, have been utilizing our services for many years. We would like to extend our customer service and data recovery experience to you. If you have had an issue with your hard drive data, and need help, contact us today for formatted hard drives in Toronto, formatted hard drives in Vaughan, formatted hard drives in Richmond Hill, and formatted hard drives in the GTA.